French design rockstar Philippe Starck is renowed worldwide for his architectural, product, and interior designs. 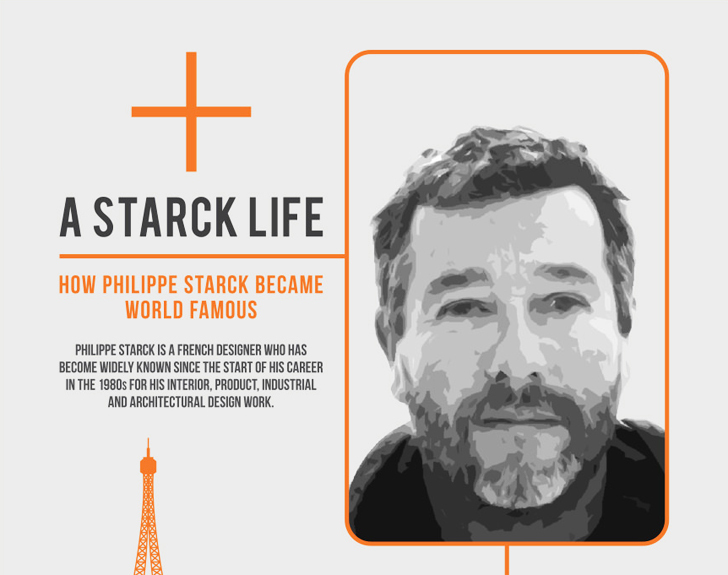 The son of an aircraft designer and painter, Starck grew up dismantling bicycles and other objects, displaying a sense of curiosity and creativity that would lead him to design some of the most notable landmarks in history. Some of his works include the Asahi Beer Hall (1989), the Louis ghost chair by Kartell, prefab eco-homes, wind turbines, and various other products, including those for brands such as Alessi and Tog. Check out the full-size infographic below to learn some fabulous facts about one of the wunderkinds of the design world.